H.A. Lozier & Co was founded in Plattsburgh, New York, by Henry Abram Lozier. 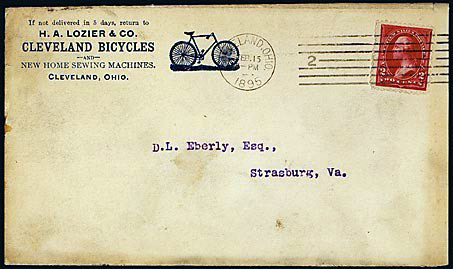 By the end of the 1890s, along with Pope, Gormully & Jeffery and Overman, his company had become one the ‘big four’ American bicycle manufacturers. 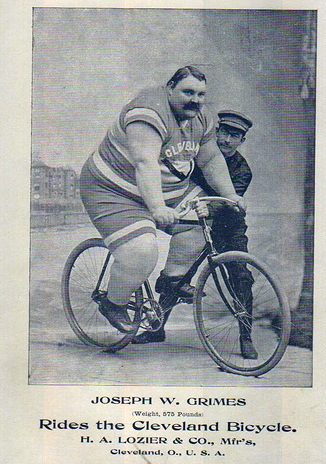 By the end of the 1890s, Colonel Pope had bought out most of his competitors in the bicycle industry. 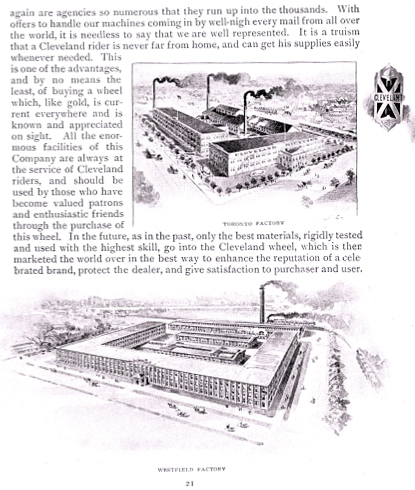 Lozier was no exception, and he sold out to Pope Manufacturing for the record sum of $4 million dollars so that he could re-invest his money in the new business of motor engines. By 1901 Lozier’s new company – the Lozier Motor Company, of Plattsburgh, New York – produced marine engines and steam launches. The company’s first cars were introduced later that year as prototypes and, in 1905, Lozier & Co exhibited their first vehicle at the New York Auto Show. The four-cylinder vehicle sold for $4,500, a sizeable sum in the early 1900s. A six-cylinder car was introduced in 1908. By 1913, a six-cylinder engine, offered in two different sizes, were the only units powering Lozier vehicles. 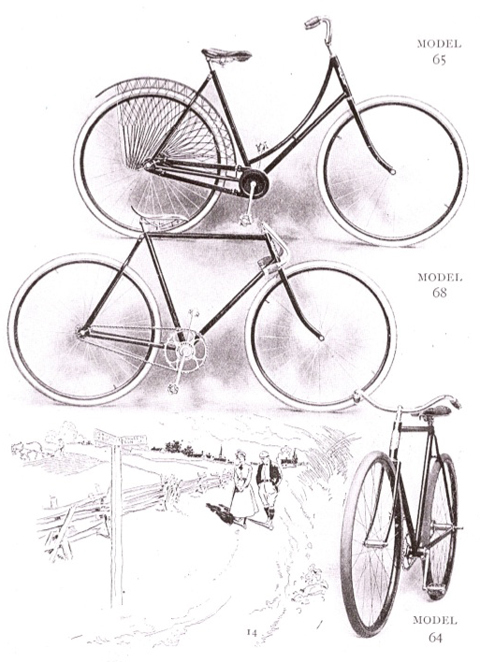 CCM – the Canadian Cycle & Motor Company: Massey-Harris had been Canada’s leading agricultural machinery manufacturer; like so many manufacturers of the time, they decided to branch out into bicycle production. 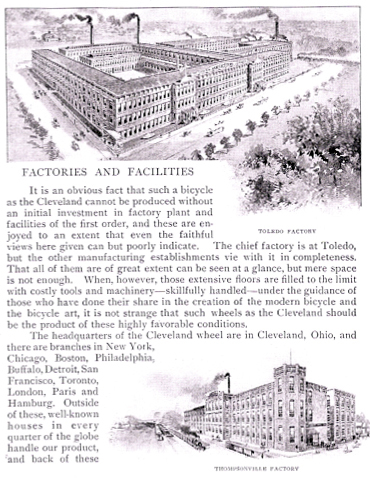 By the late 1890s they became that country’s largest cycle manufacturer. 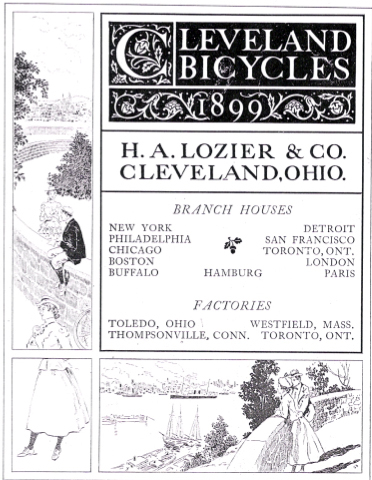 Having opened a branch of his bicycle business in Toronto in 1895, H.A Lozier had the second biggest bicycle operation in Canada. 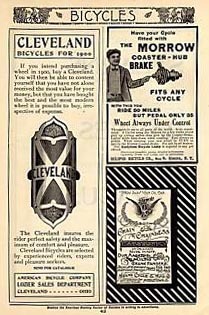 Both companies (with three others) merged to form the Canadian Cycle & Motor Company (CCM) in 1899. 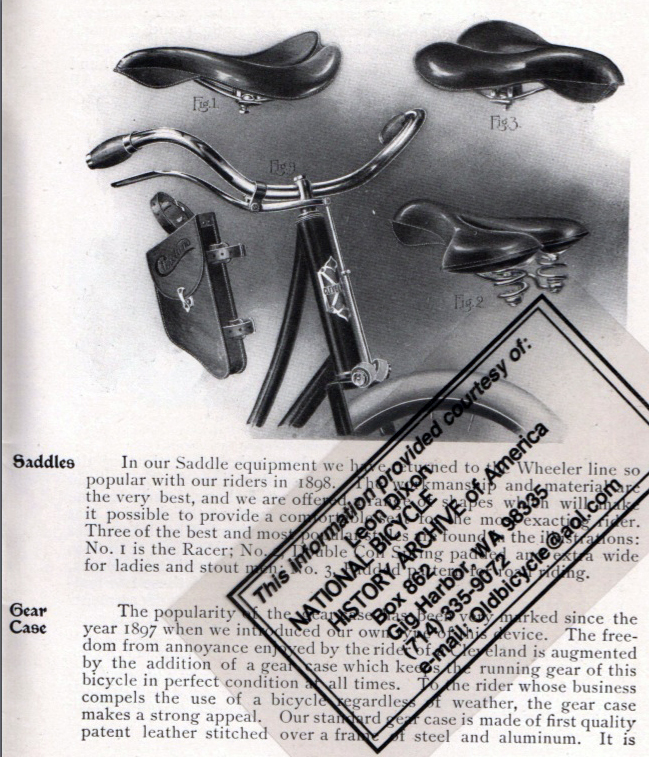 CCM survived the recessive economic climate despite strong competition from the USA, and exported bicycles to Australia and South Africa. 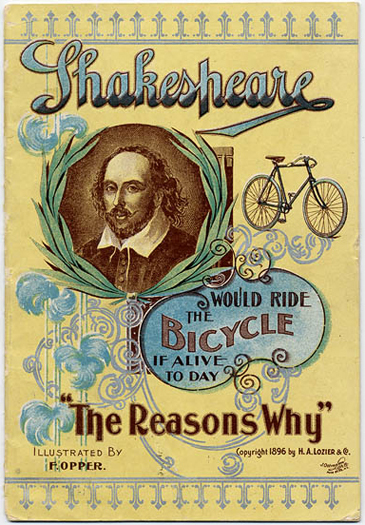 Bicycle posters became an art-form in the late 19th century. 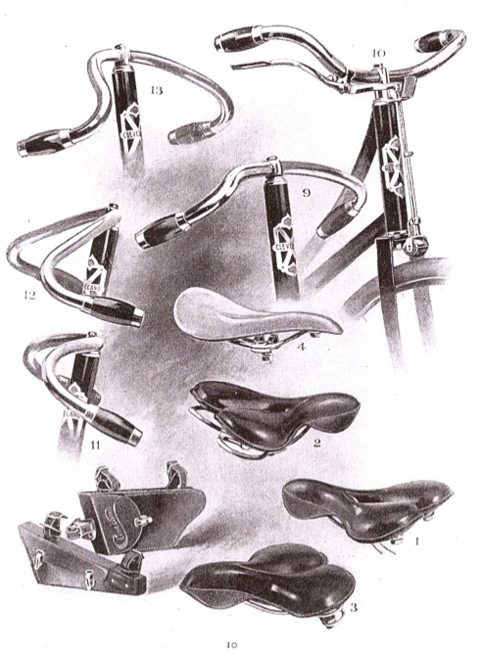 Various American bicycle companies opened branches in Paris, and many of their posters were French-designed. 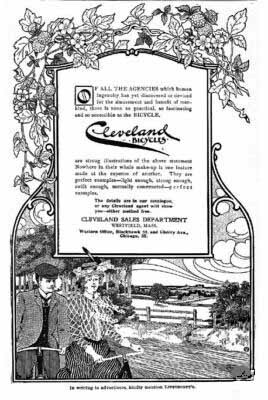 The artist Jules Cheret (1836 – 1932) produced two bicycle posters for Cleveland, one of which is the 1901 poster, above, featuring a ‘Cherette’ girl. Born in Paris to a poor but creative family of artisans, Jules Chéret had a very limited education. At age thirteen, he began a three-year apprenticeship with a lithographer and then his interest in painting led him to take an art course at the École Nationale de Dessin. Like most other fledgling artists, Chéret studied the techniques of various artists, past and present, by visiting Paris museums. 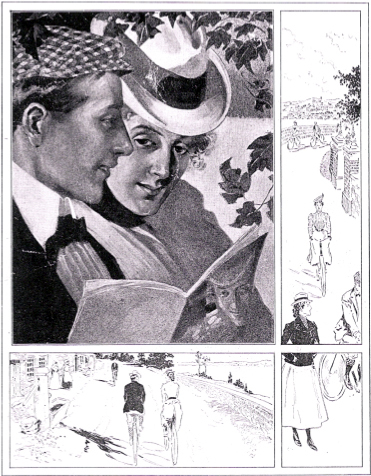 From 1859 to 1866, he was trained in lithography in London, where he was strongly influenced by the British approach to poster design and printing. On returning to France, Chéret started creating vivid poster ads for the cabarets, music halls and theatres. 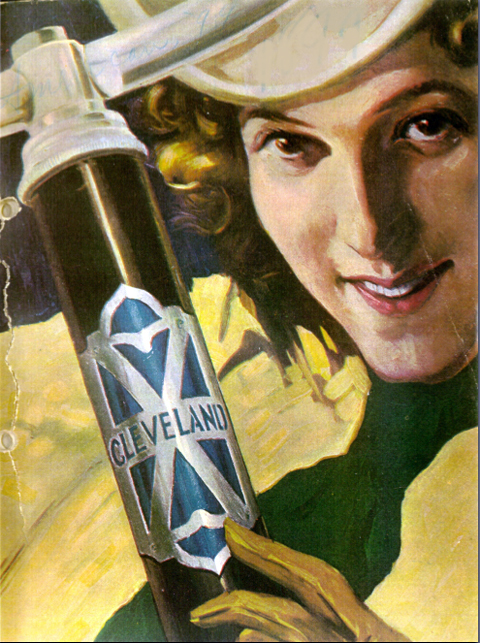 The Cleveland has aluminium-banded wood rims.